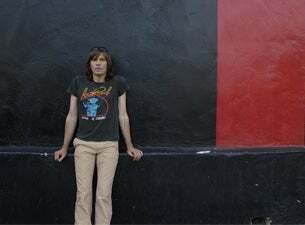 Evan Griffith Dando formed The Lemonheads with two high school buddies in late winter '86, in their senior year at Boston's tiny Commonwealth School. A few months later, they spawned what is now one of the most sought-after punk relics of the 80s, the indie EP, Laughing All the Way to the Cleaners. Boston-based Taang! Records immediately picked up on The Lemonheads, with three college radio pleasers to follow: the LPs Hate Your Friends (1987), Creator (1988), and Lick (1989). In 1990 Atlantic Records took notice of the massively expanding Lemonheads fanbase in Europe (where they toured in 1989) and America by signing the band and releasing their well-received (in Cambridge, Massachusetts) fourth LP, Lovey. Even by this time, The Lemonheads line-up had been volatile: more than a dozen different configurations over a period of just five years, all sorts of bit parts and reshuffles, with Dando as the only constant. At one point it got so confusing that an ex-drummer, just a week after getting kicked of the group, answered The Lemonheads' ad to replace himself. By a conservative estimate, the band has had more than ten bass players and at least a dozen drummers over the years. But out of this primordial chaos came a veritable Golden Age for The Lemonheads. A 1991 tour brought Evan to Australia, where by chance he met songwriter Tom Morgan and future Lemonheads bassist Nic Dalton. Their collaboration made all the difference for the next Atlantic release, It's a Shame About Ray (1992), a concentrated blast of pure pop perfection that clocks in at just under 30 minutes. Thanks to songs such as Confetti, My Drug Buddy, Rudderless, and Ceiling Fan in My Spoon, Dando hit a whole new audience ("they're getting younger," he confessed to Kathie Lee Gifford at the time). Mainstream media hype of The Lemonheads shifted into high gear, with lots of wild speculation as to the exact nature of the relationship between Dando and long-time friend Juliana Hatfield (who played bass and sang on Ray). It also didn't hurt when a 1993 People magazine spread devoted a full page to Evan as one of the fifty most beautiful people in the world. That news came to Evan in New Zealand, on his 26th birthday. When a magazine rep called to tell him he was among the "fifty dishiest people", Dando recalled, "I thought she said busiest". And I thought, 'kin right!" With all the traveling, I was busy!" Two years of brutal touring for The Lemonheads followed, which Evan punctuated with some high-profile personal meltdowns on various continents that caught the imagination of a press ever eager for negative copy. Still The Lemonheads (now with Boston friends John Strohm on guitar and Murph on drums) managed to crank out a defiant 1996 release Car Button Cloth, with some of their best melodic pop/punk to date: "It"s All True", "If I Could Talk I"d Tell You", and "Tenderfoot". After a year promoting the record, Dando announced at the 1997 Reading Festival that he was disbanding The Lemonheads. Atlantic released a Best of The Lemonheads album in 1998, and a lot of geezers surmised that that was that. "I just decided to duck out for a while", explains Dando of his self-imposed exile from the scene. "I didn't have it in me. It took until I met my wife in 1998 until I got back into making music." That would be Elizabeth Moses, Newcastle-born English supermodel and musician. Once married in 2000, Dando started to come alive again like Frampton, first with a 2001 live album Live at the Brattle Theater/Griffith Sunset, and then in 2003 with a well-received solo LP, Baby I"m Bored. In 2004 Evan Dando found himself fronting the MC5, the most incendiary rock band of 1960s America, as lead vocalist in a 41-show tour. And it was hard to miss Dando during 2005 and early 2006, as he toured widely in North America and Europe with various bass players (Juliana Hatfield and Josh Lattanzi) and drummers (Bill Stevenson, Chris Brokaw from Come, George Berz of Dinosaur Jr), and occasionally as a one man electrical wrecking crew. Memorably, in September 2005, Dando, Stevenson, and Lattanzi played two instantly sold-out shows in London as part of the Don"t Look Back series, where they rocked through It's a Shame About Ray from start to finish. In 2006 came The Lemonheads, released on Vagrant records and recorded with Bill Stevenson and Karl Alvarez of The Descendents. Stevenson co-produced with Dando, and wrote or co-wrote three of its eleven songs, while long-time collaborator Tom Morgan added another two. There were cameos from bassist Josh Lattanzi (Poughkeepsie, Rule of Three, In Passing), Garth Hudson (of The Band, who plays keyboards on Black Gown and December), and some real foot-on-monitor guitar work by Dinosaur Jr's J. Mascis (No Backbone, Steve's Boy). "We started out in Jam and Buzzcocks territory," explained Dando at the time, "We got some psyched-out country on there as well, but all of it is squarely in The Lemonheads tradition." Varshons was produced by Haynes and features Dando along with Vess Ruhtenburg (bass) and Devon Ashley (drums). The collection is filled with strange bedfellows - from G.G. Allin to Texas troubadour Townes Van Zandt and garage rockers The Green Fuz. The Lemonheads make each track their own, with help from actress Liv Tyler, singing back up on Leonard Cohen’s “Hey, That’s No Way To Say Goodbye,” and Kate Moss, who sings over the dance groove of Arling & Cameron’s “Dirty Robot,” which also features lead guitar by John Perry on loan from The Only Ones. Varshons unearths a pair of psychedelic treasures with Yesterlove – a song recorded in 1969 by the group Sam Gopal featuring future Motorhead bassist Lemmy Kilmister – and “Dandelion Seeds” from July, record collector’s Registered Landmark Band. For Layin’ Up With Linda, the band filters Allin’s cold-blooded tale through the swaggering country-honk of The Stones’ Dead Flowers.